Former Land Commissioner Jerry Patterson would like his office back, please. Patterson, who was first elected as the state’s land commissioner in 2003, wants to head the agency that manages state-owned lands and the Alamo. He gave up the job to run for lieutenant governor in 2014, but came in last in a four-way GOP primary race. Patterson has long been critical of Bush, including the office’s response to Hurricane Harvey. Since 2011 the office has also overseen housing recovery efforts after natural disasters. He decided to run himself — after looking for someone else to make the race against Bush — because he believed he was “watching this agency crater for the past three years.” That criticism comes after watching the agency refuse to disclose details about the Alamo restoration project that the Land Office is overseeing and after seeing tens of thousands of Texas homeless after Hurricane Harvey while just two homes have been rebuilt so far. “This morning, Harvey victims who have been sleeping in tents awakened to the snow,” Patterson said. I’ll say this about Jerry Patterson: I disagree with him on many things, but he was without a doubt one of the more honorable people serving in government while he was there. He took the job of Land Commissioner seriously, he was a stalwart defender of the Texas Open Beaches Act, and in my view he always acted with the best interests of the state at heart. He’s not going to be my first choice, but I’d take him over Baby Bush in a heartbeat. [Miguel] Suazo, an attorney from Austin, announced Friday he would run for the post as a Democrat. No stranger to politics, Suazo worked as an aid to U.S. Sen. Jeff Bingaman, D-NM, in Washington D.C. and has also worked as an energy and environment associate for Wellford Energy Advisors, a manager for regulatory affairs for the the Biotechnology Innovation Organization. 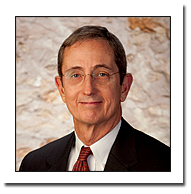 He has also worked as an oil and gas attorney in Houston. Suazo, a proponent of block-chain technology, said he may be the first candidate in Texas to launch his campaign using proceeds from Bitcoin investments. Here’s his campaign Facebook page. I’m so glad there will be a choice in November. – The other statewide office that was lacking a Democratic candidate was Comptroller. That too is no longer the case as Tim Mahoney has filed. I don’t know anything about him as yet beyond what you can see on that website. – Someone named Edward Kimbrough has filed in the Democratic primary for Senate. Sema Hernandez had previously shown up on the SOS candidate filings page, but hasn’t been there for several days. Not sure what’s up with that, but be that as it may, it’s a reminder that Beto O’Rourke needs to keep running hard all the way through. On the Republican side, someone named Mary Miller has filed. As yet, neither Bruce Jacobson nor Stefano de Stefano has appeared on that list. It will break my heart if Stefano de Stefano backs out on this. – Scott Milder’s campaign sent out a press release touting an endorsement he received for his primary campaign against Dan Patrick from former Education Commissioner Dr. Shirley J. (Neeley) Richardson, but as yet he has not filed. He did have a chat with Evan Smith of the Texas Tribune the other day, so there’s that. – Believe it or not, Democrats now have at least one candidate for all 36 Congressional offices. CD04 was the last holdout. Among other things, this means that every county in Texas will have the opportunity to vote in March for at least one non-statewide candidate. Very well done, y’all. Republicans are currently skipping a couple of the bluer Congressional districts. They also have nine candidates for CD21, which is the biggest pileup so far. – Here in Harris County, in addition to the now-contested race for County Judge, there are a couple of challenges to incumbent legislators. Damien LaCroix is once again running against Sen. John Whitmire in SD15, and Richard A. Bonton has filed in HD142 against longtime State Rep. Harold Dutton. Also, there is now a Democrat running in SD07, the district formerly held by Dan Patrick and now held by his mini-me Paul Bettencourt, David Romero, and a candidate in HD129, Alexander Karjeker. Still need someone to file in HD135. The filing deadline is Monday, and that’s when any real surprises will happen. Enjoy the weekend and be ready for something crazy to happen on the 11th, as it usually does. This is good news for Texas.